Improvements Beautifully cut triangular lot with 351 feet frontage on Eden Ave and Diagonal Rd. with a vacant lot behind and to the East. Across from Peterson Metals and two blocks from Transmission Depot, City Electric and Hopper Electric Supply. This "high and dry" lot is FEMA Flood Zone "X", and does not require flood insurance. 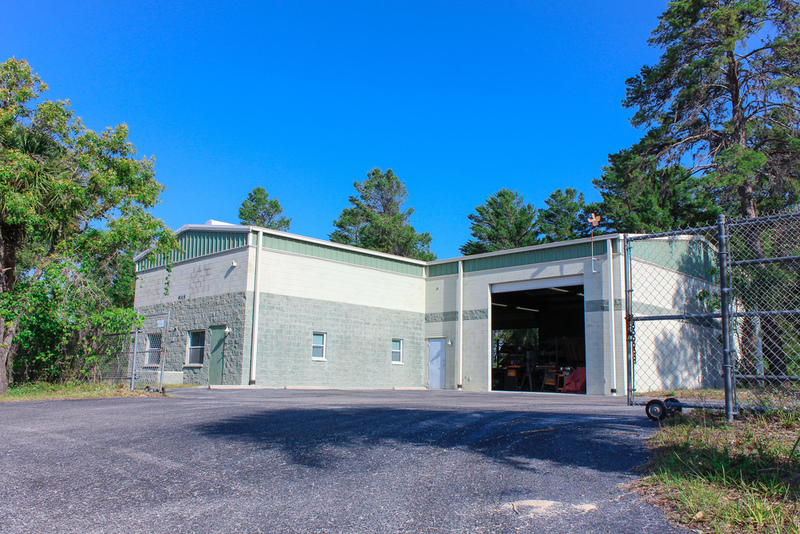 The property has deep well with fully built out pump house to match the building. 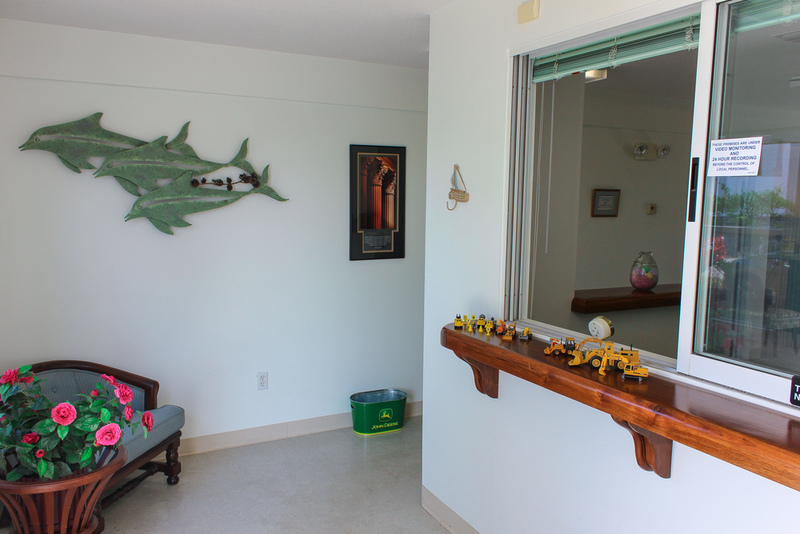 There is a septic system on the front west end of the property for easy access and maintenance. The front of the property is cleared with extra surface parking for heavy vehicles. 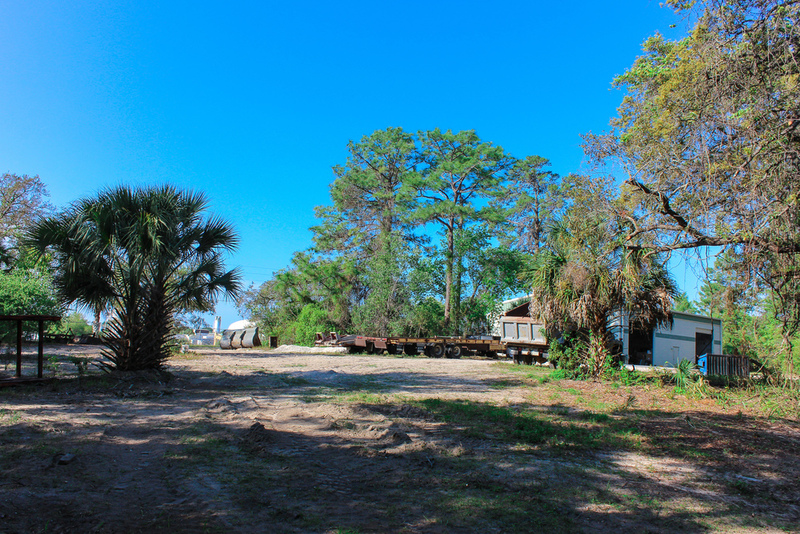 The back and surrounding property are mostly cleared with a mix of Florida brush and trees creating a pleasing tropical look. Smartly designed master retention is located in the front west end of the property allowing for maximum development of the rest of the property. 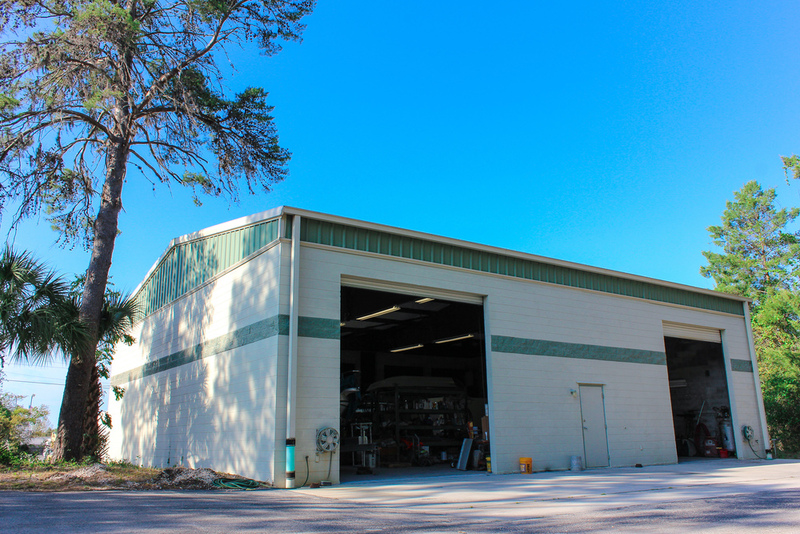 Meticulously built 3,900 sf Industrial building with an additional 900 engineered sf load-bearing mezzanine for additional office space or storage. 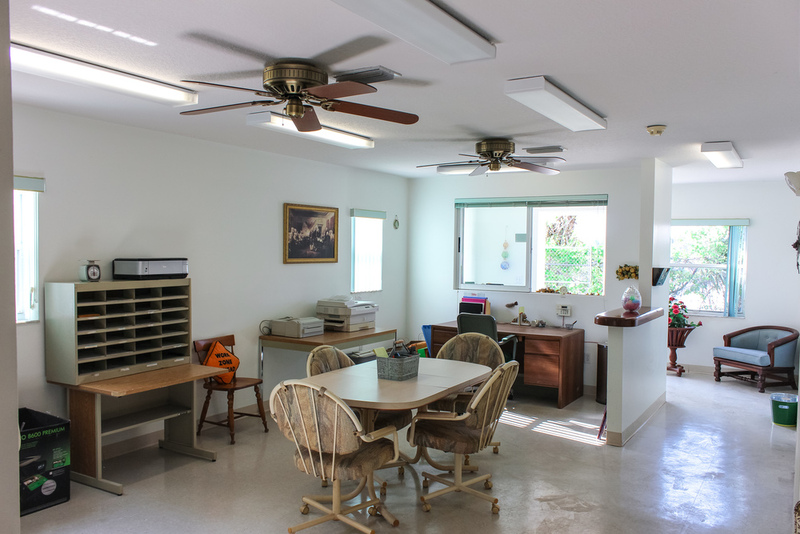 The front office space is beautifully appointed with two private offices, kitchenette and large multi-purpose open bullpen area that can be used as a training room, showroom or can enclose for a large conference/ meeting room. 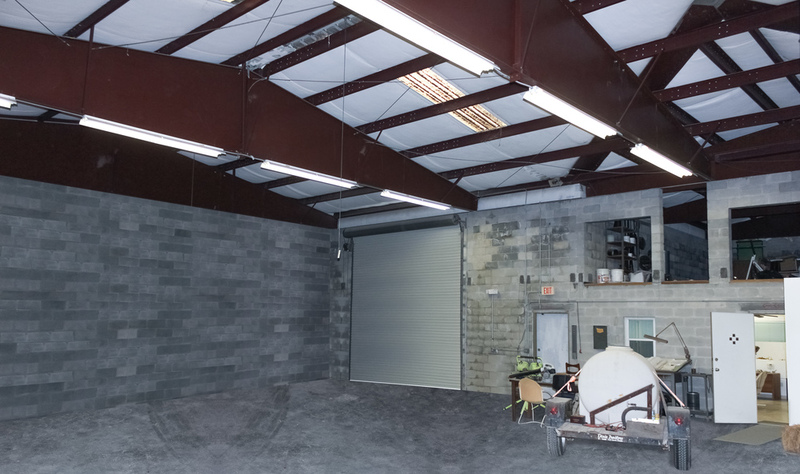 The office leads directly into a beautiful solid block warehouse with "American Steel" superstructure and 18' clear span fully insulated ceiling with a cross ventilation system. 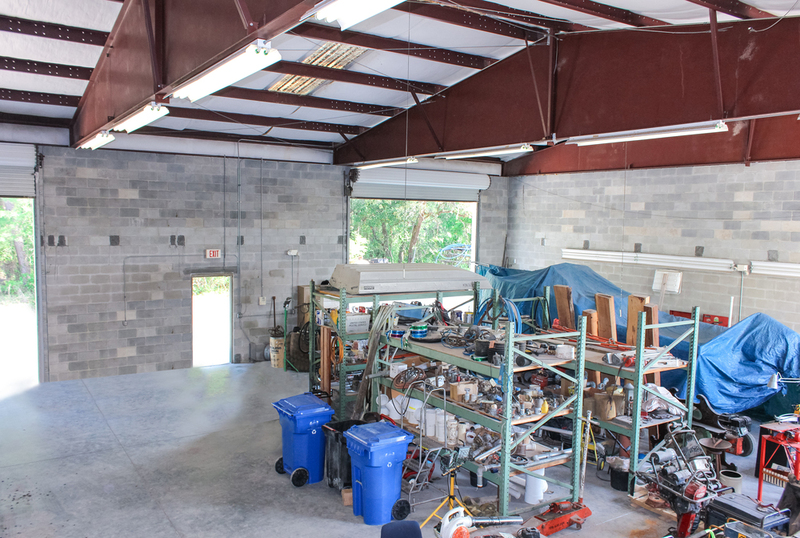 The free span engineered metal roofing system runs from end to end obstruction free, with 3 x 15' high roll-up doors in front and rear for drive-through ability. There is 3-Phase 400 Amp service installed with availability to upgrade to 600 Amp or more. There is a sperate warehouse office along with restroom and industrial rinse sink. The roof has no leaks and has been expertly maintained and surrounded by commercial grade gutter system. A steel core entry door finishes off this secure fortress. See additional documents for permitted uses under current C3 zoning Conveniently located at 9315 Eden Ave between Little Rd and 1/4 mile east of US Hwy 19, easily accessible to surrounding Quad-county area - Hillsborough / Pinellas / Citrus / Hernando via Veterans Expressway, I-275, I-75 and other primary roads. Beautifully cut triangular lot with 351 feet frontage on Eden Ave and Diagonal Rd. with a vacant lot behind and to the East. Across from Peterson Metals and two blocks from Transmission Depot, City Electric and Hopper Electric Supply. This "high and dry" lot is FEMA Flood Zone "X", and does not require flood insurance. 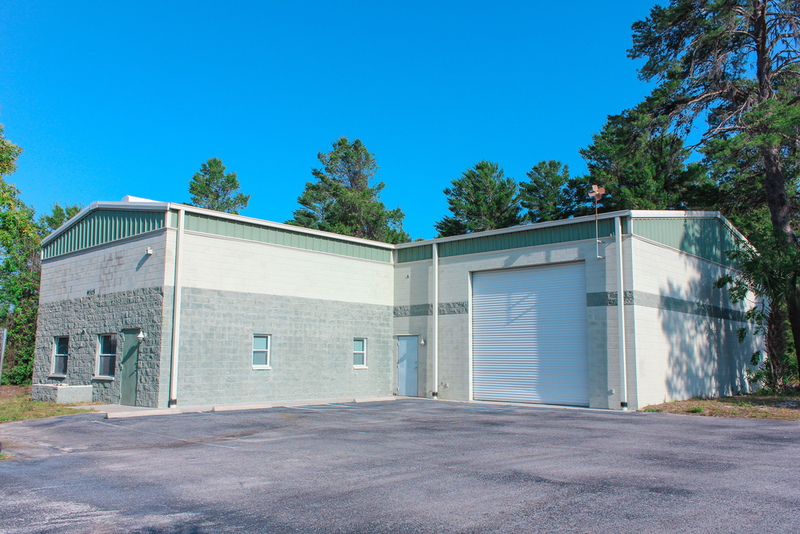 The property has deep well with fully built out pump house to match the building. 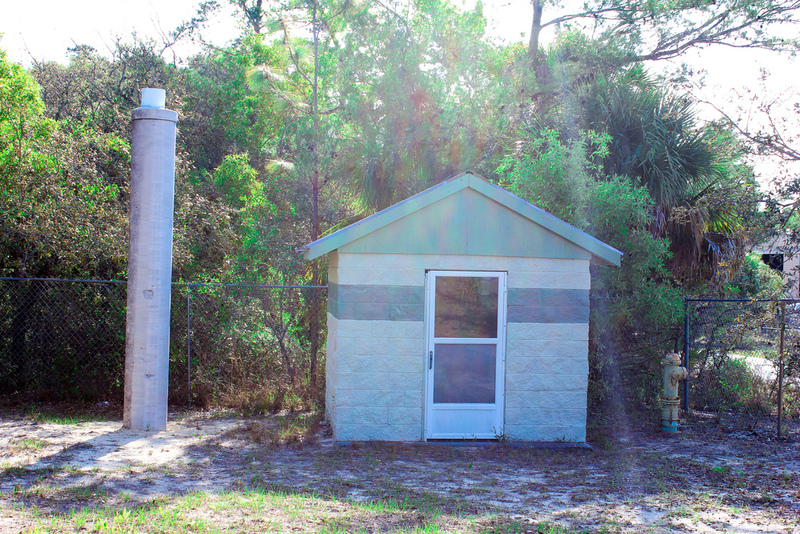 There is a septic system on the front west end of the property for easy access and maintenance. 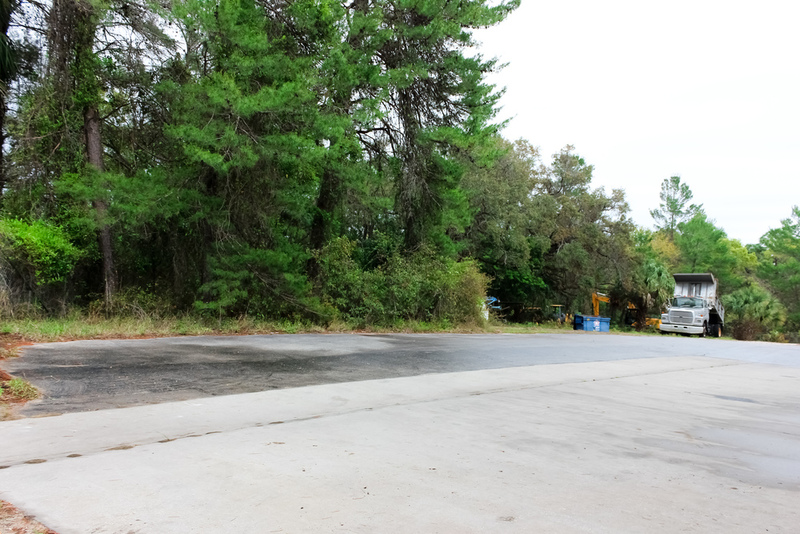 The front of the property is cleared with extra surface parking for heavy vehicles. 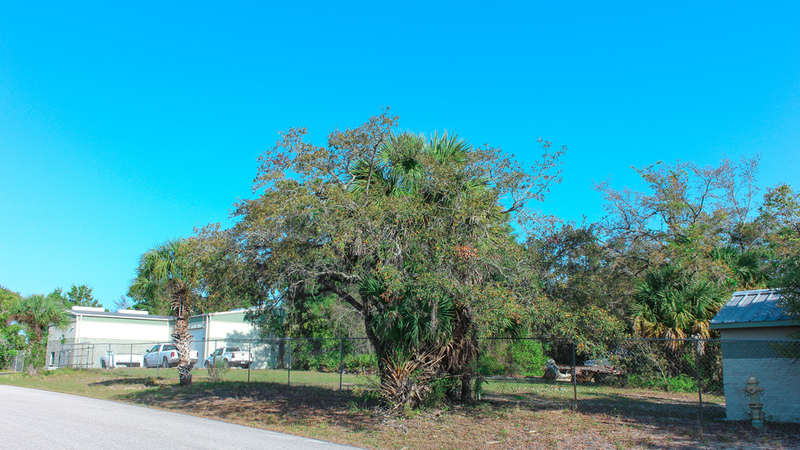 The back and surrounding property are mostly cleared with a mix of Florida brush and trees creating a pleasing tropical look. 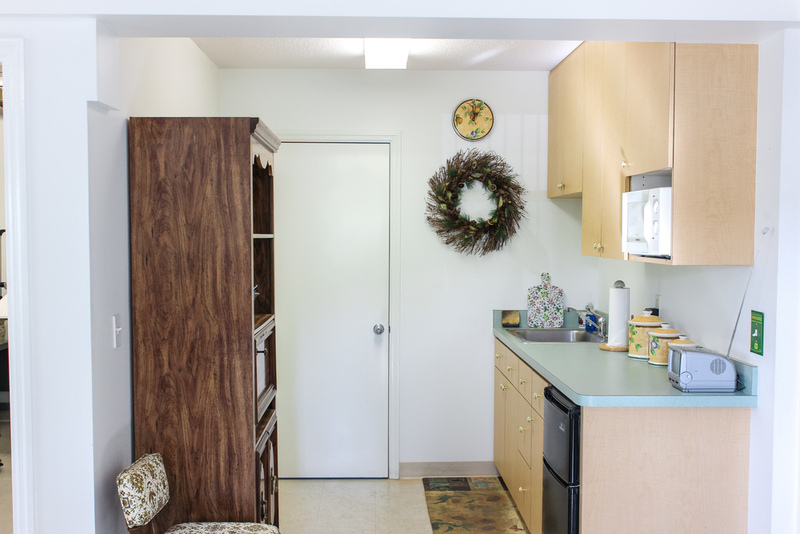 Smartly designed master retention is located in the front west end of the property allowing for maximum development of the rest of the property.